It all began as a love story. When Rosie and her husband Resnick bonded over Everlasting Gobstoppers while watching the fantastical film, Willy Wonka & The Chocolate Factory. Eager to give adults a golden ticket to Willy Wonka’s Laffy Taffy world, this candy loving couple decided to coin their own confectionary castle, donned Sugarfina. Now a million dollar brand, Rosie and Resnick are feeding New York sweet teeth with big apple frogs, bright light sparkling rose bears, and champagne gummies coined the City That Never Sleeps, all reminiscent of the magical factory that started it all. And at this one—everyone gets a ticket. We sat down with O’Neill, to hear the story behind the brand, launching their first permanent boutique store in Southampton, what specialized candy drops locals can look forward to indulging in this season, and what they have planned for the future. Rosie, tell me about opening Sugarfina's first permanent store in Southampton? ROSIE O’NEILL: When we opened our Southampton pop-up shop in the summer of 2017, we received such a great response and a warm welcome from the Southampton community. We were thrilled when a permanent location on Main St. became available, so we can sweeten Southampton all year round! A candy boutique for grown-ups, how did you decide to pioneer this playful, trendsetting brand? RO: We started the brand, when my co-founder/fiancé took me to see Willy Wonka & the Chocolate Factory, the original one. And seeing that movie caused us to have this conversation around, why isn’t there a candy store for grown-ups? And then from there, we started working on it together. So the brand has grown, as our love story has grown. Did you embed those initial epiphanies, from Willy Wonka & the Chocolate Factory, into the platform of your store? RO: It was the emotion. Not taking actually moments, like an oversized chocolate mushroom that you can eat. It wasn't that. It was more of this feeling of magic and wonder, and how you translate that feeling into today’s modern fashionable woman. What will make her have that same emotional feeling? So, can we look forward to seeing a golden egg in the near future? RO: Maybe at one point for Easter! Rosie, filling the sugar cravings of Southampton residents, will you be featuring new candy bento boxes specific to this beachside store? RO: We created a new candy to celebrate the launch of our Southampton store—24K Gold Rosé Bears. Made with Rosé wine from Provence, these delicious bears have a crisp, refreshing taste and are gilded with edible 24K gold leaf. It’s the ultimate party favor for a Southampton soirée! What gourmet candy cubes would you recommend to Southampton shoppers looking to fill their sweet cravings? RO: With more than 100 gourmet candy flavors to choose from, we have something for every sweet tooth. Grown-ups love our Champagne Bears made with Dom Pérignon Vintage Champagne and our Single Malt Scotch Cordials with a shot of real whisky inside. Kids of all ages love our watermelon and berry-flavored Sugar Lips, grapefruit Pink Flamingos gummies, and Sparkle Pops, crunchy chocolates with pop rocks inside. You can also create a Candy Bento Box filled with all your favorite flavors, which makes for a beautiful gift! What are your future plans to continue to produce luxury candy? RO: We've started to expand overseas, which has been really exciting. We opened our first store in Hong Kong and it’s doing really well. We’re doing more stores in Hong Kong and then next year we’re going to be expanding into other parts of Asia. I can see going into the Middle East at some point. I think there’s a lot of really exciting global growth for the brand. And then, we’re always looking to innovate. And that’s kind of the core part of our DNA, how do we keep surprising and delighting people with new creations. 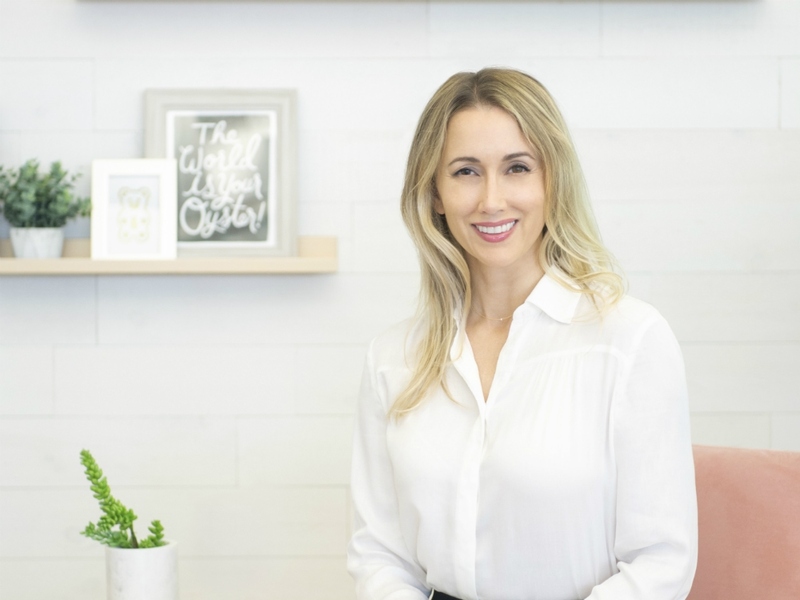 Just like how we’ve done things like the rosé partnership with Whispering Angel and those beautiful rosé gummies to partnering with Patisserie and creating a healthy, better for you bear. We’re always thinking of what’s the next fun thing we can do with our candy that’s delicious, but also fun to talk about and Instagrammable. 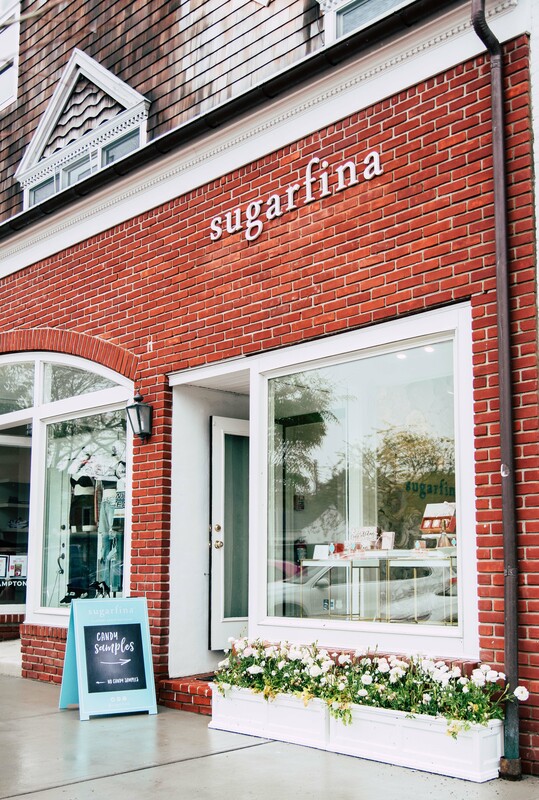 And if you could create any candy for Sugarfina, what would it be? RO: I would love to create a line of candy jewelry that is actually stunningly beautiful. So you could wear it, but also you would love to give it as a gift to someone for their bridal shower or it’s really a beautiful, sophisticated gift to give to your flower girl as a thank you for your wedding. Things like that, where it really takes something that I think a lot of women connect to from their childhood and it brings that fashionable adult twist to.